QuadLabs is a premier technology solution provider with a focus on delivering world-class technology products to the travel industry and is headquartered in India with sales offices in Brazil and UAE. We specialize in intelligent solutions which have a high degree of adaptability to distinct business processes within the travel domain. Our product is a proven platform with several deployments across Europe, Asia, Middle East, Australia, Africa and Latin America and is highly adapted by each market. 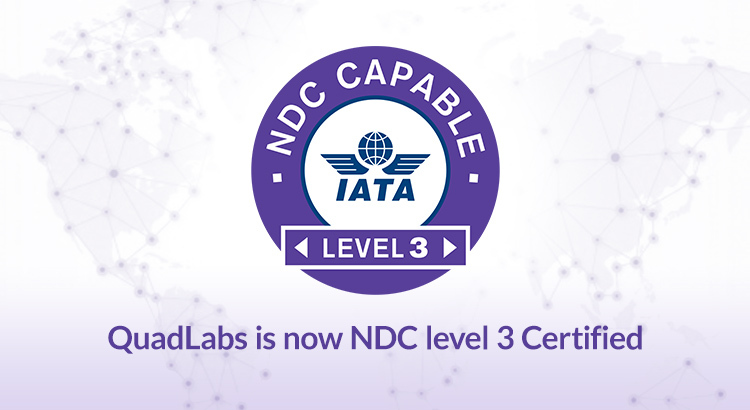 QuadLabs is certified NDC developer and is now IATA NDC level 3 certified. NDC is a standard prescribed by IATA for the airlines to provide direct connects to the travel agents and technology companies around the world. These standards enhances the capability of communications between airlines and travel agents by providing full and rich airline content as well as providing transparent shopping experience. Travel agents can access ancillary content along with last available seat with all possible fare types.